Leaders of the House Agriculture Committee and most witnesses at a hearing Feb. 16 on the pros and cons of restricting benefits under the Supplemental Nutrition Assistance Program were skeptical that restrictions on sweetened beverages and other products would be effective, but other members of the panel said something needs to be done to fight obesity and its effect on health care. In a statement issued after the hearing, House Agriculture Committee Chairman Michael Conaway, R-Texas, said, "A recent USDA study showing the purchasing habits of SNAP recipients has again raised the question of whether certain food or beverage items should be restricted as eligible food items in SNAP. While there is a case to be made for encouraging recipients to make healthy purchasing decisions, there are also concerns worth noting when it comes to restricting certain food and beverage options." In an opening statement, House Agriculture Committee ranking member Collin Peterson, D-Minn., said, "Those of us who have been around for a while know that this is a complicated program, and I would urge members to keep that in mind as we begin work on the farm bill this year. I don't think there is just one issue that is a problem and doubt that there is a single solution to improving SNAP efficiency." Peterson continued, "Looking specifically at SNAP food choice, it would seem pretty straightforward that we not allow SNAP dollars to be spent on junk food. But how do you define junk food? We tried this in Minnesota. In 2004, Minnesota asked FNS for a waiver to disallow candy as an EBT (electronic benefit transfer system) purchase, but candy was defined as anything that did not contain wheat. So, a Kit Kat bar would be OK but a Hershey's bar would not. Going down this route could open a real can of worms. Grocery stores have no interest being the food police and USDA has been resistant to that effort as well." Diane Whitmore Schanzenbach, a senior fellow at the Brookings Institution and a professor at Northwestern University, said "In my opinion, additional restrictions on SNAP purchases will undermine the effectiveness and the efficiency of the program." "In particular, based on my research on SNAP and food consumption, I believe that SNAP restrictions will be difficult to structure in practice, will be inefficiently targeted, and in many cases — such as a proposed ban of the purchase of soft drinks or sweetened beverages — will be unlikely to change consumption patterns," Schanzenbach said. "There are better policy options for promoting healthy eating patterns, both for SNAP recipients and for all Americans." A SNAP family typically spends only $12 per month on soft drinks, Schanzenbach said, and would be likely to continue to purchase the soft drinks with cash. "A ban will likely increase the administrative costs of the program to both the USDA and retailers, and increase the stigma faced by recipients when they use the benefits, but not have the benefit of inducing any behavioral changes," she said. Raising benefits above the current $4.50 per day per person is more likely to improve dietary choices, she said. 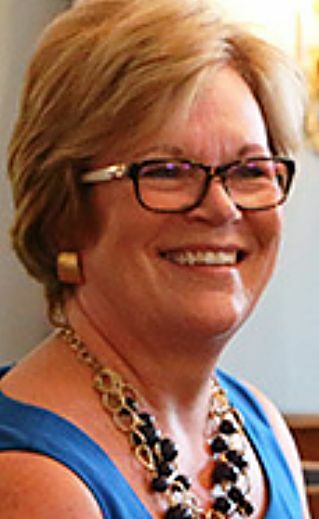 Food Marketing Institute President and CEO Leslie Sarasin said that placing restrictions on products would be administratively complex and turn checkout clerks into food police. While modern computer systems stop beneficiaries from using SNAP benefits — previously called food stamps — to pay for nonfood items and could be programmed to stop the use of benefits for certain foods, Sarasin noted that USDA would incur enormous expense trying to decide what items would be banned. In her testimony, Sarasin said, "There have been a number of limitations suggested for this program whether it be no meats, no desserts, no snacks, no soft drinks and even no white bread." "Not only do such limitations appear incongruous to the policy positioning of a program designed to provide temporary assistance addressing hunger considerations, but they also would prove an administrative nightmare," she said, "increasing the cost of acceptance and slowing down checkout lines in an industry that historically has experienced only just more than a 1 percent profit margin and in which every second of delay affects profitability and ultimately the number of associates that can be hired and the prices in a store." John Weidman, deputy executive director of The Food Trust, a Pennsylvania based nonprofit that works nationally to improve access to affordable nutritious food, testified that SNAP-Ed, a federal program to teach beneficiaries about healthy eating, and "double bucks' coupons to reduce the cost of fruits and vegetables, both work. "A peer-reviewed study published in the journal Pediatrics found that our SNAP-Ed funded school nutrition education program reduced childhood obesity by 50 percent," Weidman said. "More recently, data collected on the Body Mass Index of Philadelphia children is showing that after decades of rising childhood obesity rates, we are finally seeing them drop. The strategies that are being implemented in Pennsylvania — access to healthy food, nutrition education and SNAP Incentives — are happening all around the country, and they are not only changing eating habits and preventing diet-related diseases like heart disease and diabetes, but they are also creating jobs and spurring economic development in struggling urban and rural communities." Brian Wansink, director of the Cornell Food and Brand Lab and former executive director of the USDA Center for Nutrition Policy and Promotion, testified, "When food stamps were first introduced, their purpose was to fill bellies with calories. Seventy years later we have another important opportunity. Fill bellies with the right calories." Wansink cited studies that show people who get SNAP benefits buy more convenience foods than before they were on the programs. SNAP beneficiaries who get incentives to buy healthier foods "do buy more of the healthy, incentivized foods, but they also buy more of the less healthy foods. They just use their own money instead." All grocery shoppers, he said, can be divided into three categories: people who are health vigilant, health predisposed and health disinterested. "Giving SNAP recipients more benefits or restricted benefits may not lead them to only buy healthier food," Wansink said, But giving 25 percent higher benefits to SNAP participants who agree to restrict their SNAP benefits to buy only predetermined healthy foods — say fruits, vegetables, whole grains, lean meat and dairy — and giving retailers guidelines or even certification for healthy shopping store design might work, he said. 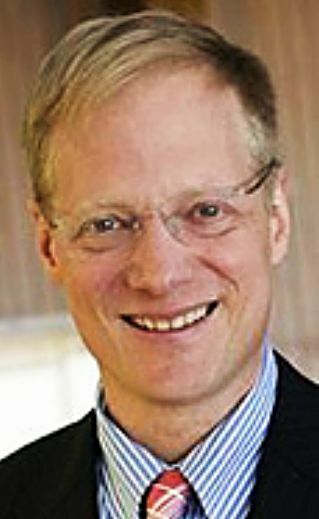 Wansink also said that most grocery retailers "don't care" about the health of their customers, but Sarasin said that statement was "just incorrect" and noted that many grocery stores have nutritionists and some have started tours for school children to teach them how to shop in a healthy manner. Only Angela Rachidi, a research fellow in poverty studies at the American Enterprise Institute and previously deputy commissioner for policy and evaluation in the New York City Human Resources Administration, testified in favor of trying the restrictions. Rachidi noted that, as New York City's main social services agency, HRA administers SNAP to 2 million beneficiaries, and said she helped the administration of then-Mayor Michael Bloomberg develop a proposal to restrict the use of SNAP benefits to purchase sweetened beverages that the Agriculture Department "regrettably" rejected. She urged the committee to support state and city-level demonstration projects on restricting product purchases on the grounds that "through rigorous evaluation, a demonstration project could assess whether government efforts can achieve potential gains, such as better health, without adversely affecting other measures of well-being." "I want to state clearly that SNAP is one of the more effective federal safety net programs in the U.S.," Rachidi said. "However, as with any government program, it can always be improved. And as a nutrition assistance program, SNAP could do more to support healthy eating among recipient households, especially children." "To be fair, it is unclear whether SNAP households would make these purchases with their own money if they were restricted from SNAP or even in the absence of SNAP," she said. "However, for a program with a stated goal of improving nutrition, accepting such a large percentage of spending on beverages with no nutritional value seems counterintuitive and likely undermines public support for the program." Rachidi said USDA rejected New York City's application on the grounds that the study would not be rigorous enough, but said she believes the department has a general aversion to proposals to restrict what SNAP participants can get with their benefits. 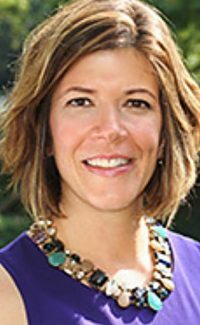 Sarasin noted that allowing the state level experiments would make it more difficult for stores to manage the electronic benefit transfer system that is now used nationwide at grocery store checkout points. During the question-and-answer period both Democrats and Republicans seemed to be searching for ways to address obesity and its impact on health care costs. Rep. Michelle Lujan Grisham, D-N.Mex., said she had taken the food stamp challenge under which people try to eat on a SNAP budget and realized that it is very hard or impossible to buy enough healthy food at the current level of benefits. 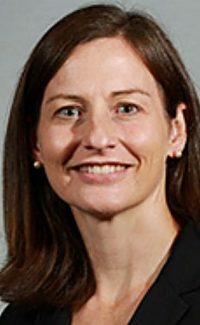 Grisham said she is particularly concerned about the food needs of ill low-income program participants. Rep. Jimmy Panetta, D-Calif., said his district is known as the "salad bowl," but wants to change the moniker to the "salad bar." Farmers, he said, realized that farm workers and their families were not eating the foods they plant and pick, and have donated salad bars to the local schools to improve eating habits. The result, he said, is that if kids eat fruits and vegetables at school, their parents follow those eating habits. 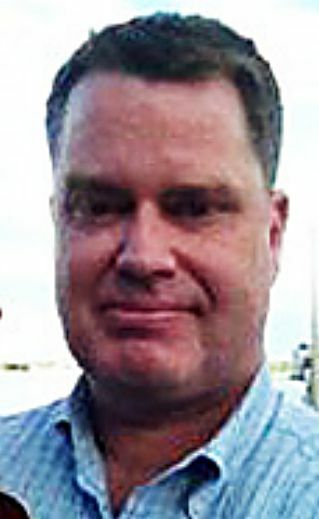 Rep. Roger Marshall, R-Kan., noted that, as a physician, he has learned that the easiest time to get a family to make a lifestyle change ranging from using seat belts to healthy eating is when a woman is pregnant. Wansik said it is easier to get people to change their habits when they are doing something "for a bigger cause than themselves." People become vegetarians "for a bigger cause," he noted, and one way to encourage adults to eat healthier is to discuss the implications for the family and children. Rep. Doug LaMalfa, R-Calif. seemed frustrated at the resistance of the panel to come up with proposals that will reduce obesity and health care costs. Noting that SNAP participants can't use their benefits to buy inedible products, LaMalfa asked Sarasin "Is it that much tougher to differentiate between soda pop and tobacco?" Sarasin replied that the difficulty would be in how to define nutrition.